New to kayaking, or looking to improve your existing skills? 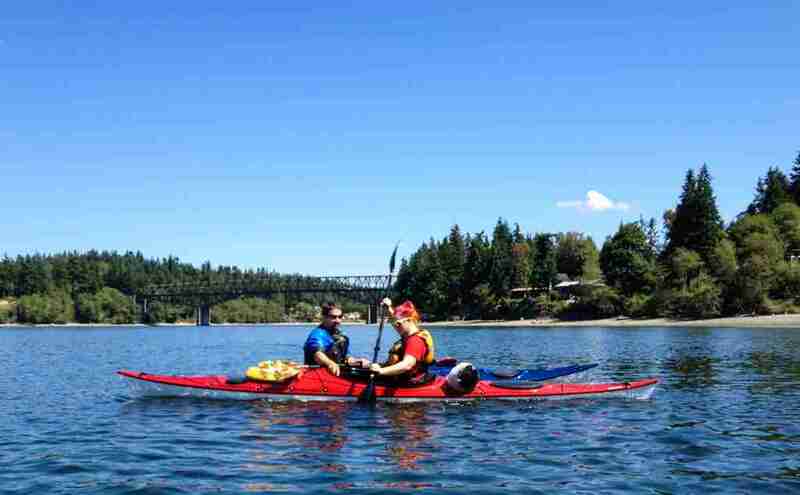 Learn how to safely and confidently paddle with instruction from Exotic Aquatics! We offer several classes, from the relaxing Paddling Strokes course, to the challenging and exciting Eskimo Roll class (so much fun!). If you’ve been out in a kayak a few times and feel confident in your paddling abilities, we recommend going through the Rescue & Re-Entry class. Having the ability to get both yourself and your friends back into a kayak after going for a swim will greatly improve your confidence level and the fun you’ll have. If a class or date doesn’t work for you, call today to schedule a private or custom session! Our classes and tours are staffed by professional staff; it is their job to ensure your safety and enjoyment. Gratuities are greatly appreciated by your instructor! Adult Classes are applicable to individuals ages 12 and older and in good physical condition. Due to the nature of the activity, participants should be comfortable on as well as in the water.